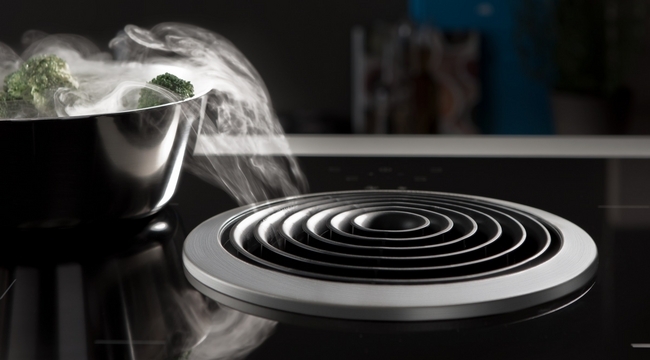 Raubling – With the world innovation BORA Basic, BORA Lüftungstechnik, manufacturer of innovative downdraft-extractor top systems and cooktops, has taken the next step towards the end of the cooktop extractor hood. This third product line combines all advantages of the tried and tested BORA cooktop extractors – cooking in fresh air without a disturbing hood, compact technology, extremely little noise and high quality materials – with a compact format and an attractive price-performance ratio. BORA Basic is the first step into the world of BORA – in every kitchen. 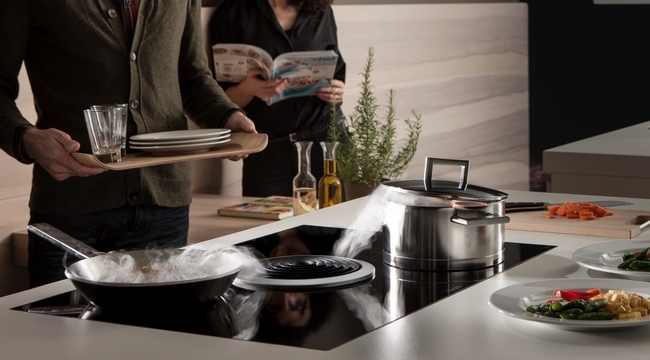 With BORA Basic the innovative company shows its belief in the downdraft system and so makes a sustainable contribution to energy efficiency and to the design of the kitchen as a living space without a cooktop extractor hood. BORA stands by quality, authenticity of all materials and top functionality. BORA Basic makes it possible for a larger target group to gain access to these values. The world innovation consists of only one compact system. According to the philosophy of “bringing together what belongs together” the strong double system consists of a high performance induction-glass ceramic cooktop and an effective cooktop extractor in the middle. Two parallel fans in the interior of the cooktop work as quietly as a whisper. BORA Basic can be installed in only a few minutes into every kitchen and is ready for use at once. BORA Basic has an attractive appearance and is easy to handle – so it is a joy to cook. And the movable parts of the cooktop extractor can be dismantled easily – ideal for the simple cleaning and maintenance. The inlet cone and the stainless-steel grease filter can be cleaned even in a dish washer. A gauge in the central touch-display tells you, when the activated charcoal filter must be replaced. It is available at the BORA dealer or can be ordered directly via the website www.boragmbh.com. The compact combination of cooktop and cooktop extractor is preconfigured and available as exhaust and recirculation systems.